There is just something special about the morning after a snowfall, when the trees are gently covered with powdery snow, and the icicles are glimmering in the morning sun. It’s truly magical! But why not add a pop of color to Mother Nature’s wonder? Create your own “Winter Wonderland” using a very simple technique - and your freezer! Patience and everyday food dye (and gloves) will leave you with a kaleidoscope of colors and some unique and ephemeral decorations for your yard. 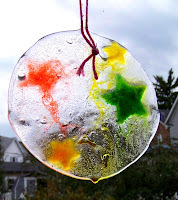 Best crafted on a freezing day during the winter season, it’s a great snow day activity with the kids! 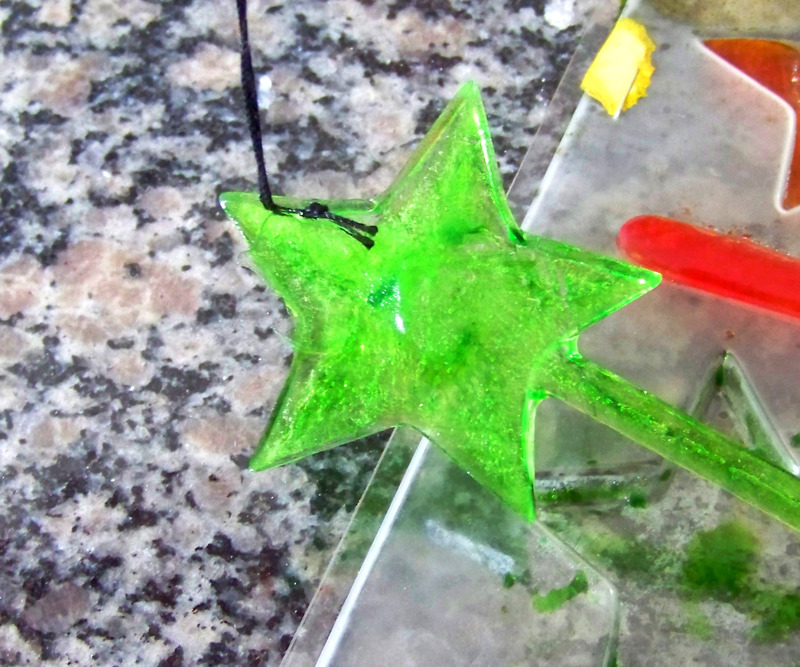 Make ornaments to adorn tree branches and Shepherd Hooks, or create ice string “lights” to drape across pine trees. Before you do anything, make a little room in your freezer! Any level area will do. If it’s not quite level you will have food dyed water all over your freezer. Trust me. Put on your gloves. Pour water into different cups, and add a drop or two of food coloring to each cup, depending on how translucent you want your ice. Using your spoons (one for each cup) stir your mixture. 1. 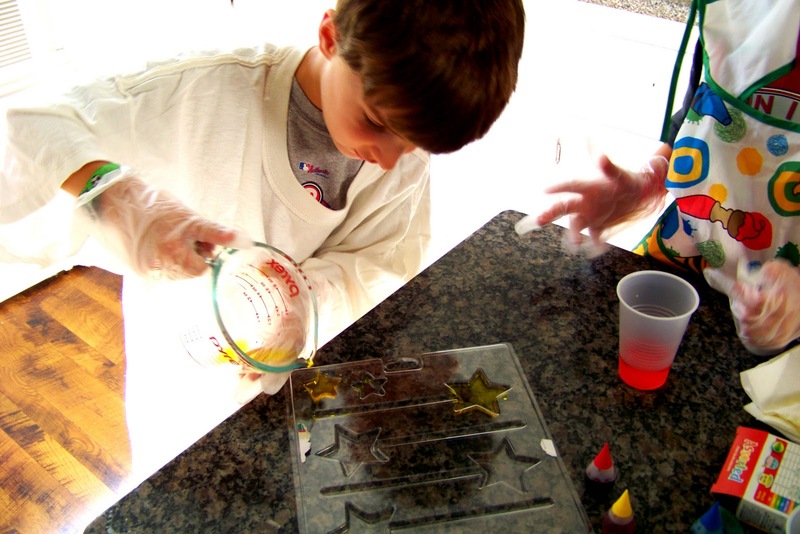 Pour colored water into the plastic candy molds. Place molds in the freezer. 2. 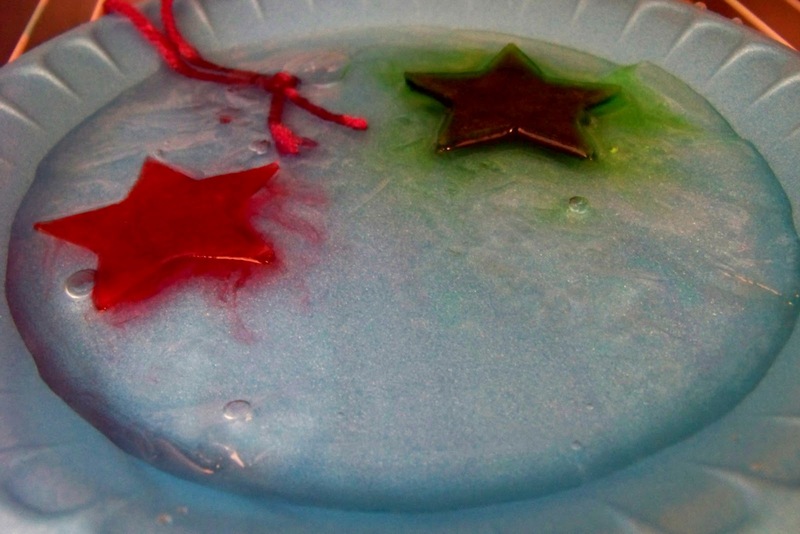 While you’re waiting patiently for the shapes to freeze, pour clear water in the bottom of a Styrofoam plate, until the bottom is full, and water is beginning to creep up the sides. 3. Cut a 10 inch piece of yarn, fold it in half and tie a knot at the bottom. Insert it into the water so that the loop sticks out. 4. Place the plate carefully in the freezer. 5. 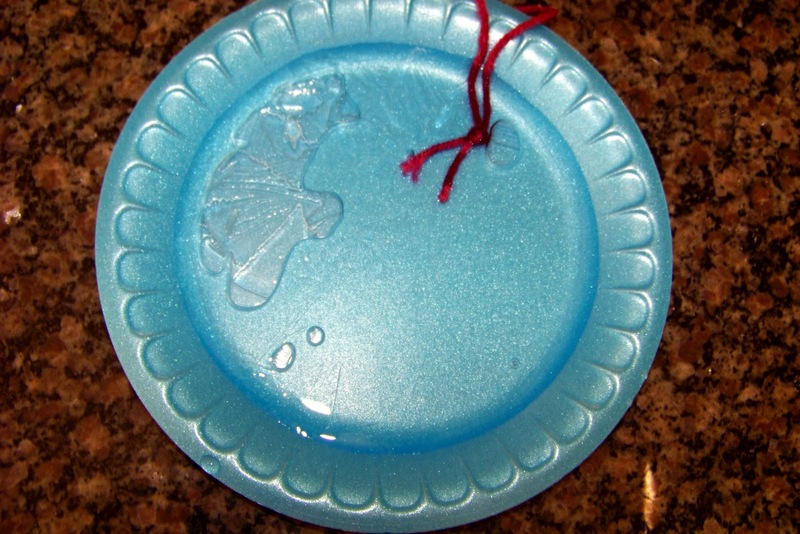 Once your plate of water is almost frozen (where there ice on the surface, but you can still see water moving at the bottom) crack the ice by tapping it gently. By doing so, you are creating small “shards.” Place the plate back in freezer while you are getting the stained ice ready. 6. Fill another Styrofoam plate with warm water and keep it handy. You also need an empty plate to temporarily place your circles as you are working. 7. Take out your molds, and pop out the ice from the mold. If they don’t pop out easily, quickly dip the mold in the warm water. Repeat with other shapes. 8. 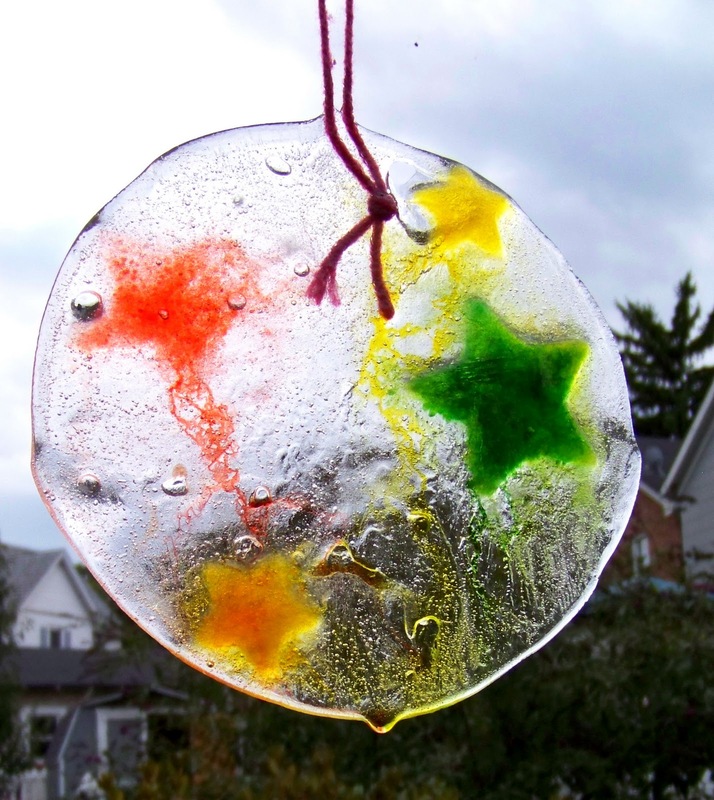 Take out your plate of clear ice shards and place your colored shapes anywhere you want in the ice shards. Place entire plate back into the freezer. 9. Once completely frozen, take it out of the freezer, bundle up and start transforming your yard into a Winter Wonderland!! Pour dyed water into your candy molds, and place a yarn loop in each for hanging. Set them in the freezer. 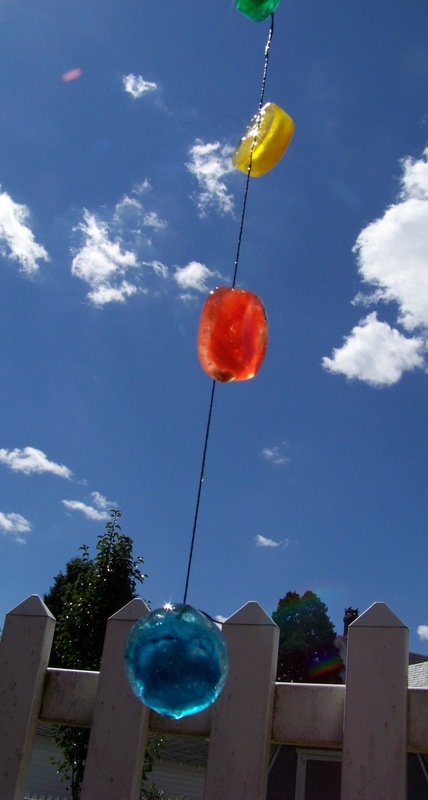 Once frozen, pop them out and hang them on a tree. 1. Cut your bathroom cups so that the stand about 1/4 tall. You can measure and mark your cup before you cut so they are all about the same size. 2. Cut a length of cotton crochet thread; approximately 1 yard. If you like, you can string and knot faceted plastic beads onto the thread for extra sparkle. 3. 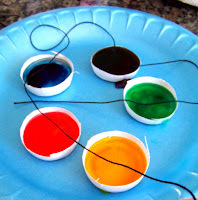 Completely fill each cup bottom with colored water, and place them on a plate. 4. Lay the piece of string in the small “cups” of water, making sure that it is soaking along the center of each one. Push the string down into the water with your gloved finger, spacing about 6 – 8 inches of yarn between each cup. You will have excess string floating around your plate. 5. Place plate in freezer. 6. Once completely frozen, carefully take them out of the freezer and peel off the cups (dipping them in warm water if necessary). Drape them across pine branches, for a holiday light effect! 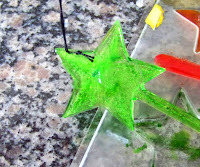 Once your “stained glass” ice ornaments have melted, don’t forget to discard the leftover yarn! omg this is the most brilliant idea ever!!!!! thank you! we can't wait to try it after school today in BOSTON!!! !